Our panel blinds in Melbourne are perfect for dividing rooms and covering large windows. 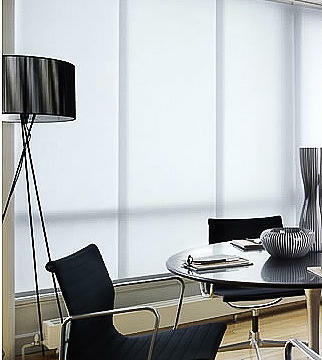 Our panel glide blinds in Melbourne are a versatile solution that look great with sleek, minimalist lines. Commonly used for window furnishings, they also work great as room dividers. The ability of these blinds to be configured for windows, doorways and other purposes, means that they are incredibly functional. Panel glide blinds, much like vertical blinds, are suitable for use in very large spans such as sliding doors and bi-fold windows. Our range can be manufactured up to a length of 5 meters, and are available in blockout fabrics . Even with their large span, they still remain durable and easy to use. Affordable panel glide blinds that don’t compromise on quality. Built with a unique tracks system, our blinds can accommodate fabric panels from 500mm all the way up to 1000mm in width. Our range is built with an easy to use hand traverse system that eliminates the need for cords or child safety devices. For the lowest prices, and the best quotes, get in touch with us today! Our blinds are built to last. We use only quality tracks, fabrics and cutting edge manufacturing. They also come with a 5 year warranty. Our entire range is made right here in Melbourne supporting the local economy. Made locally, to Australian quality standards. Our fabrics are cut with the latest laser cutting technology and fabric welders, delivering a squarer cleaner edge and reducing the incidence of fraying.  Our Panel Glide Blinds use a simple hand traverse system which ensures smooth tracking without cords. This stops a child safety hazard and the need for cord tensioners. The simplicity of the design makes this product a highly effective window furnishing solution, at a great price.